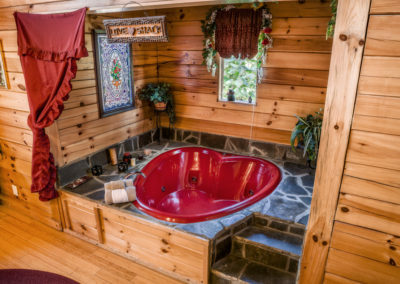 Deluxe Honeymoon Cabin in Pigeon Forge, TN. Click Cabin Photo to See Larger Version. 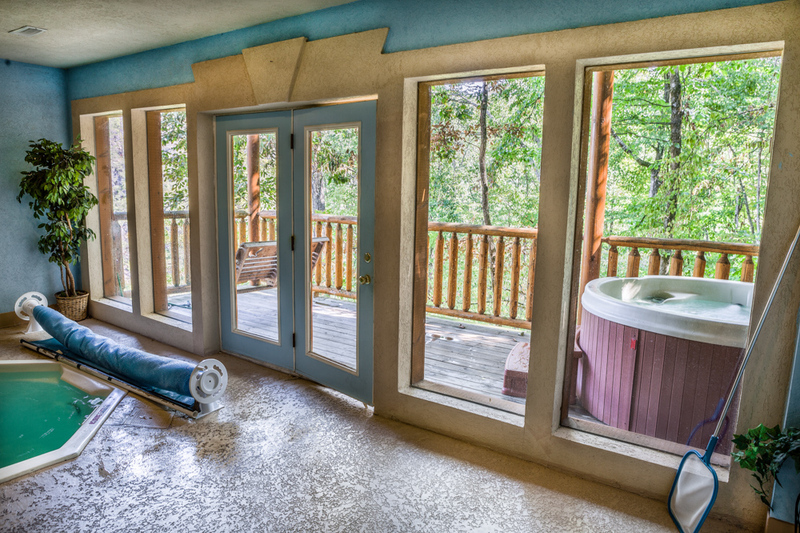 Heated Private SWIMMING POOL Inside Cabin, Infared Sauna, Hot Tub and Heart Shaped Jaccuzi Tub. 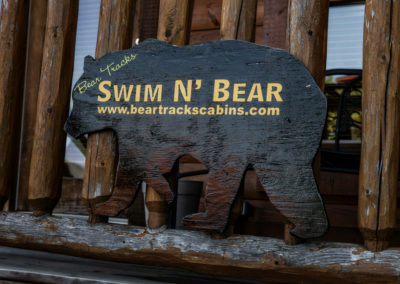 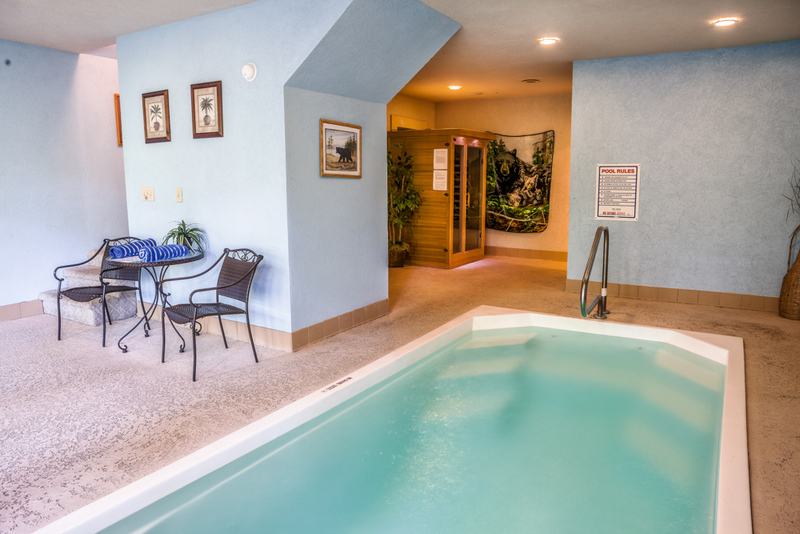 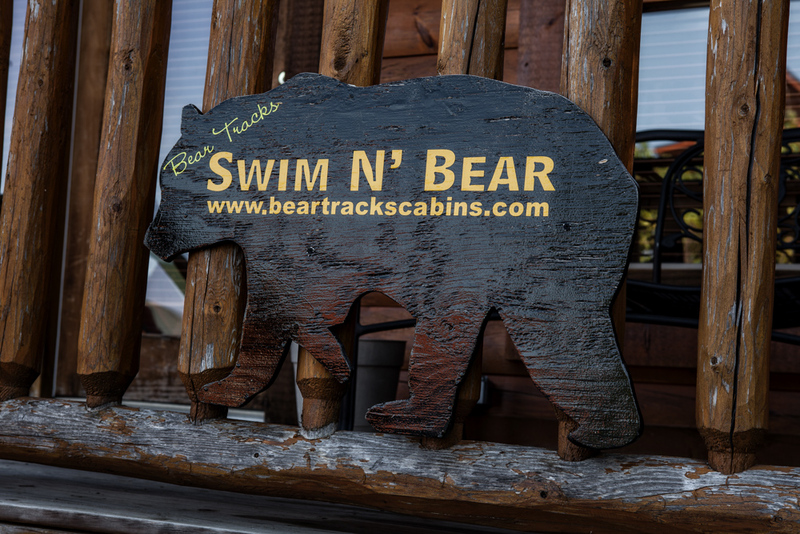 Welcome to SWIM N’ BEAR, our private Mountain getaway. 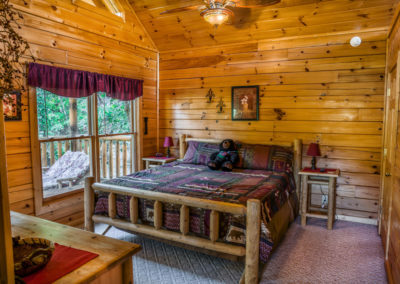 This cabin is located in the very popular Black Bear Ridge resort, and offers a very private setting for your Romantic getaway. 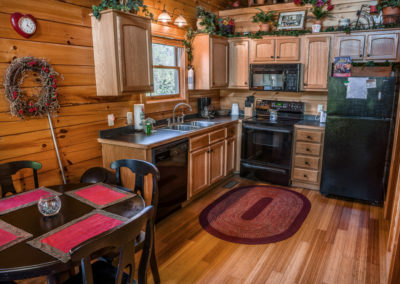 The cabin is set up for Honeymooners or couples, but is also great for small families. 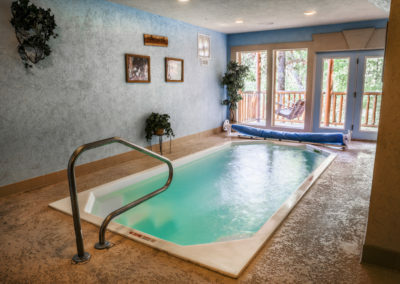 Relax by candle light and enjoy the Heart shaped Jacuzzi tub while watching the 37″ TV, or Relax in the peaceful Mountain setting while enjoying each others company in the Hot Tub on your private deck while listening to the sounds of nature –The peaceful Mountain setting can be enjoyed from 2 large private decks at the back of the Cabin. 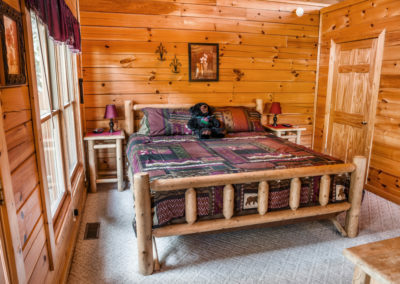 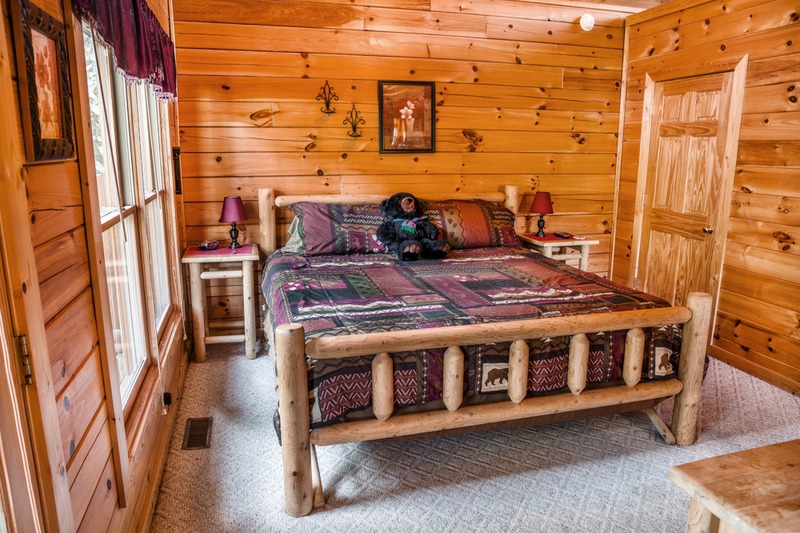 And don’t forget our KING SIZED Log Bed, complete with a TEMPUR-PEDIC mattress for your enjoyment!! 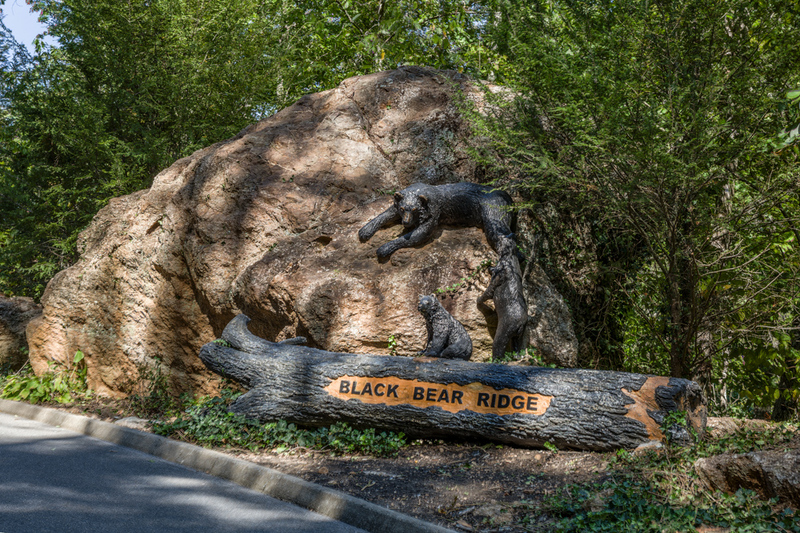 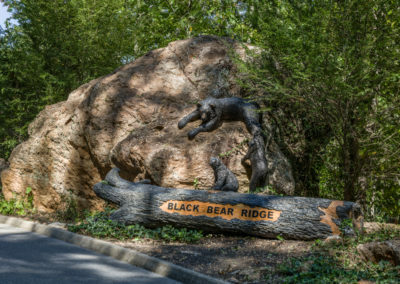 And if you do decide to go outside your cabin ( but we think you might not want to ) , you are just a few minutes away from all that the Pigeon Forge/Gatlinburg area has to offer. 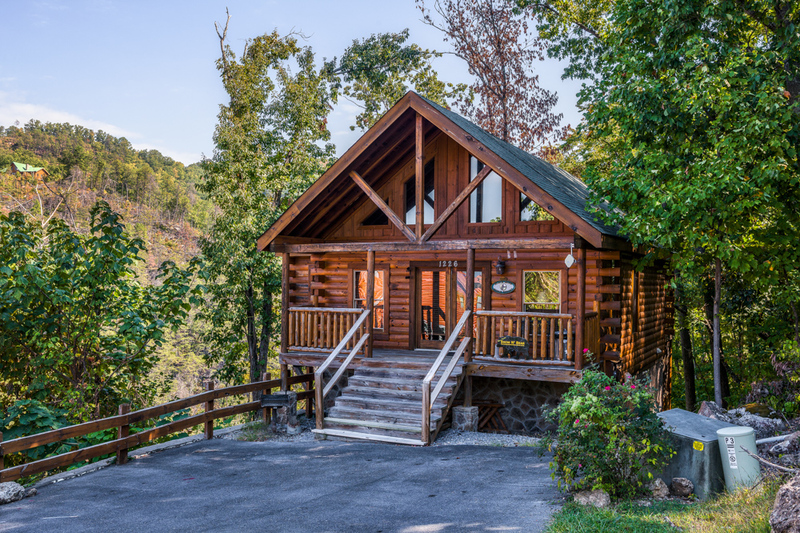 Only 5 miles to the Heart of the Parkway in Pigeon Forge, and then just a few more miles up the road to Gatlinburg. 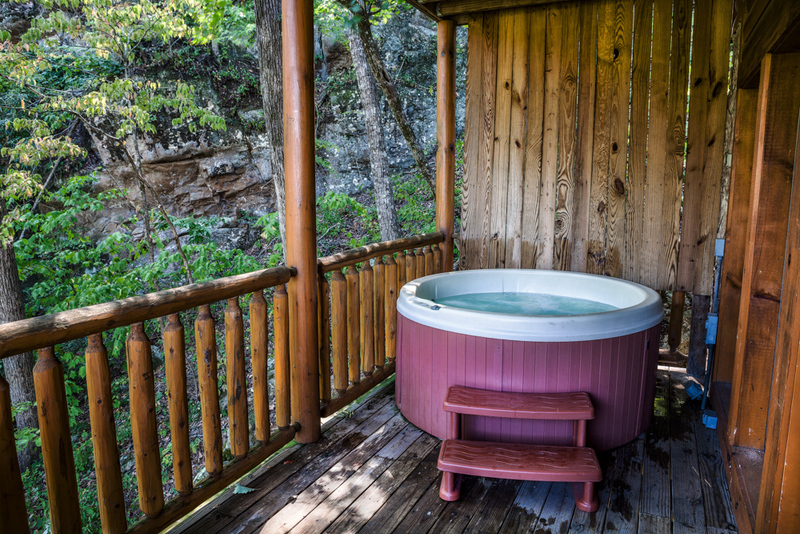 Come and enjoy our Private getaway, we love to spend time here and we know you will too! 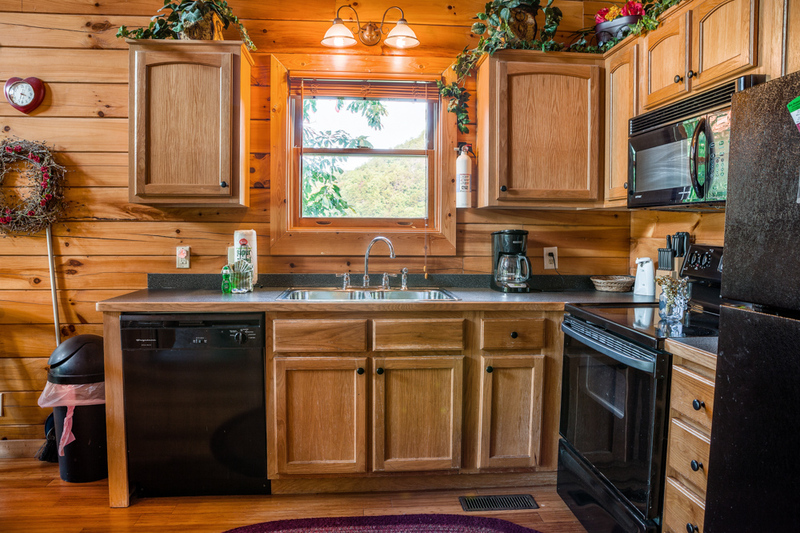 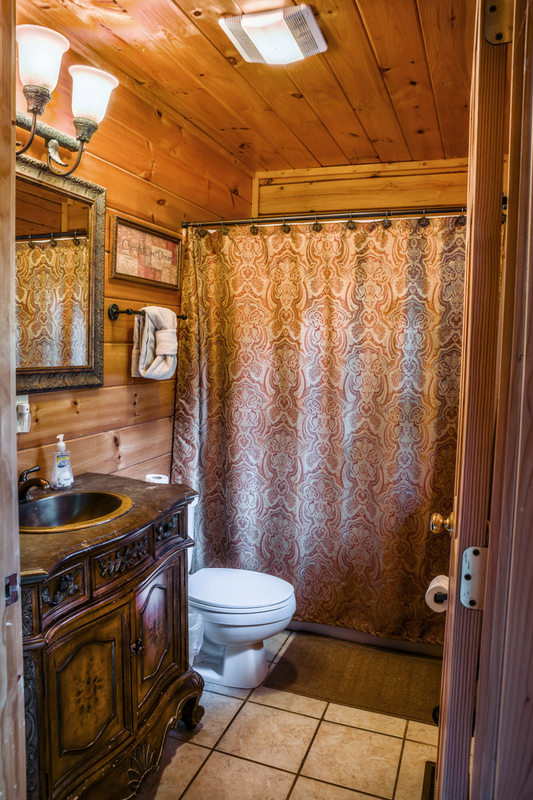 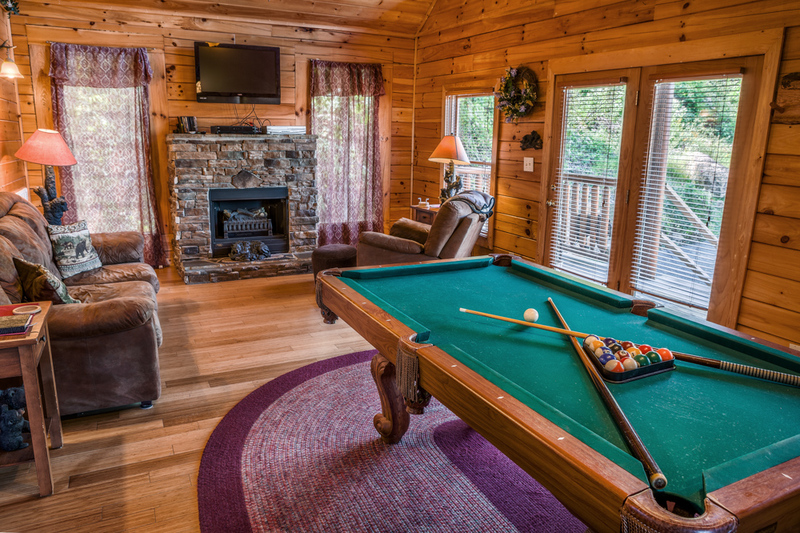 What amenities are you looking for in your perfect cabin? 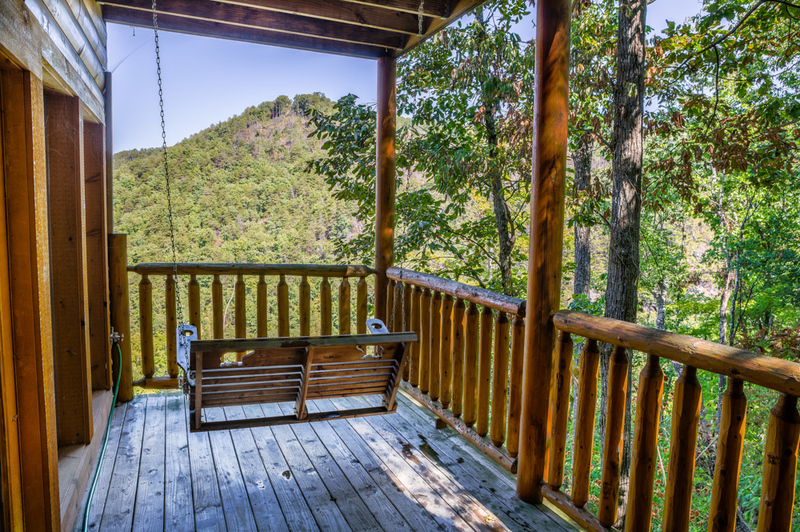 This Amazing Cabin Has Powerful Views, Lots of Room and Amenities Galore. 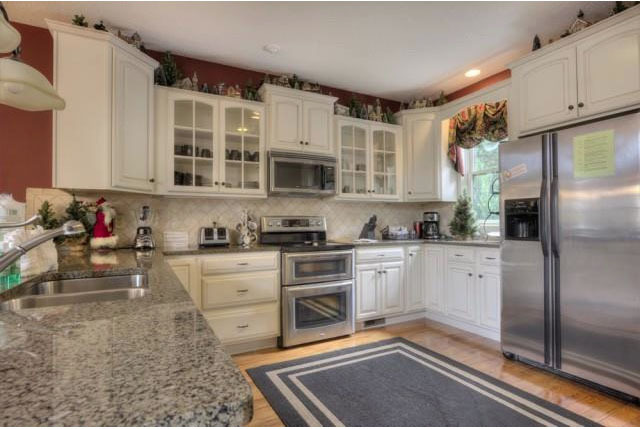 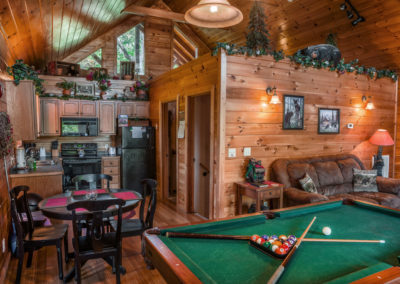 Perfect for Large Families. 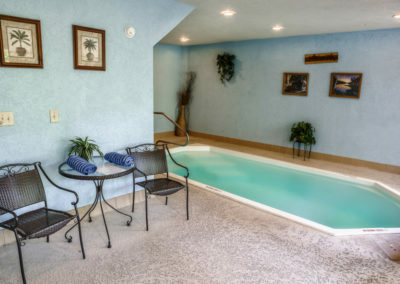 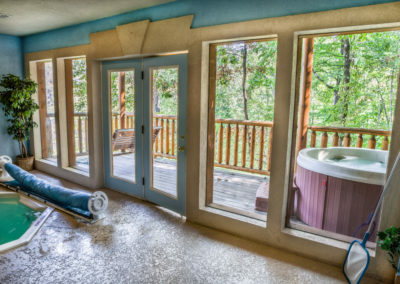 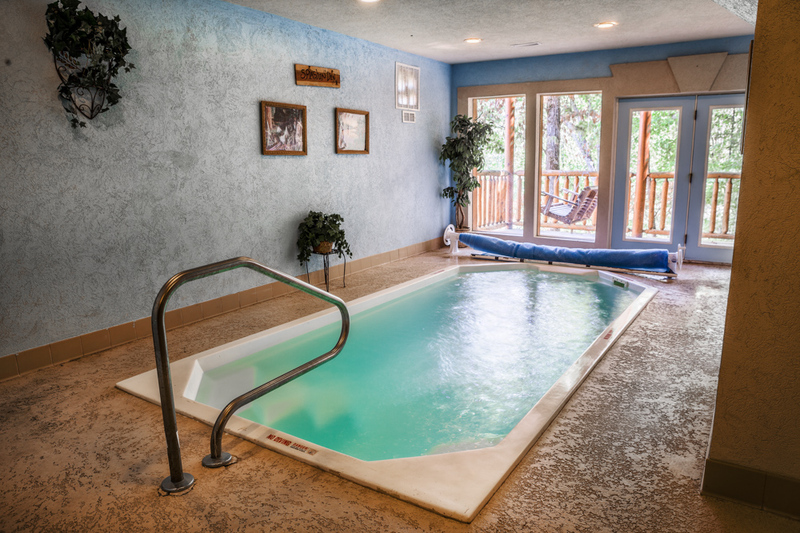 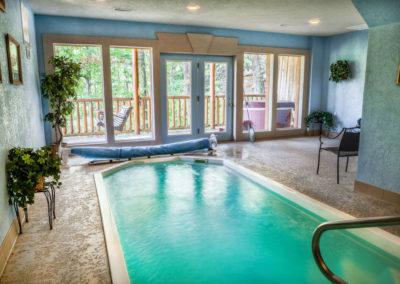 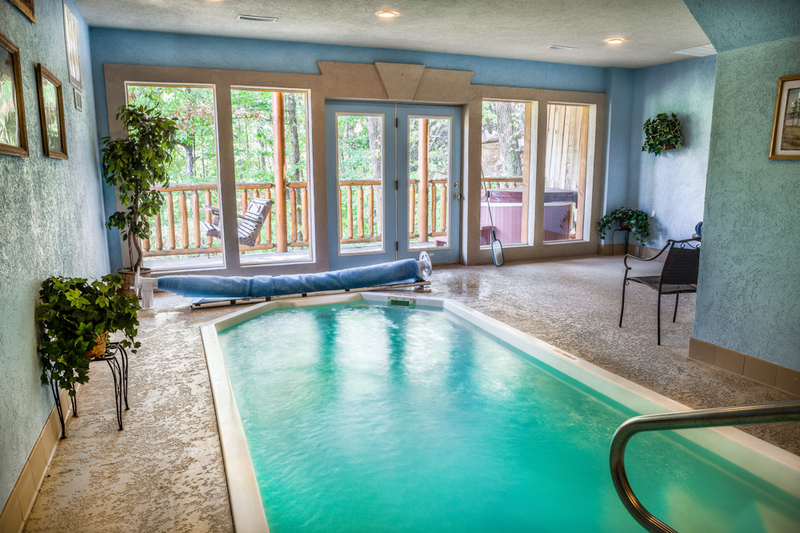 Romance and Privacy are evident in this Cabin with Private Indoor Swimming Pool in Pigeon Forge. It also has a PRIVATE hot tub and a indoor Far-Infared Sauna for your Enjoyment. 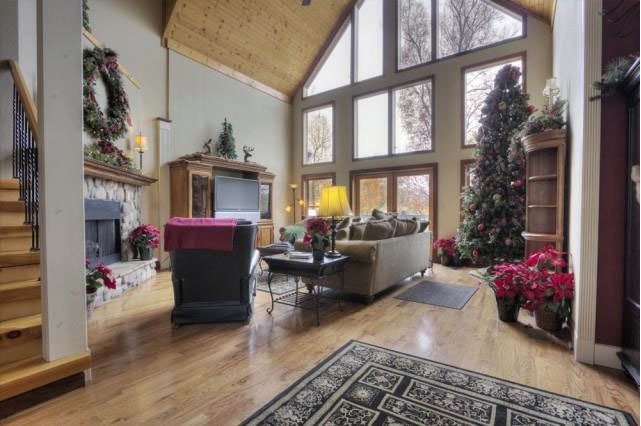 It’s Christmas Year Round in this 5 bedroom Super Deluxe Chalet. 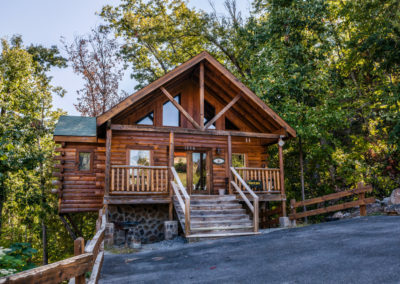 It is Quite Simply the Nicest Cabin/Chalet We Have Ever Seen In The Area. 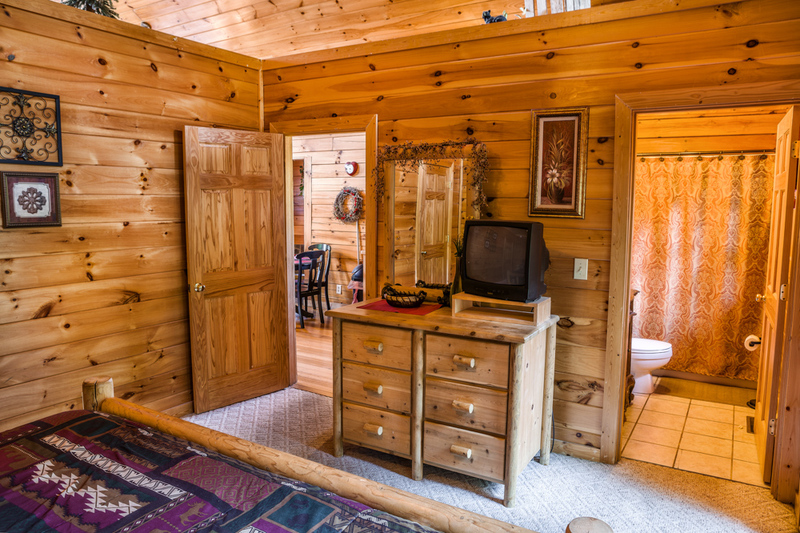 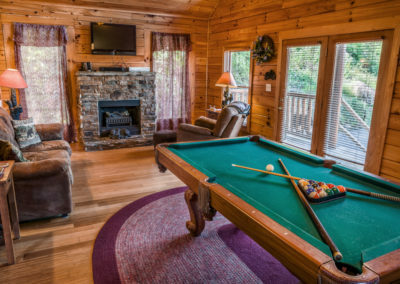 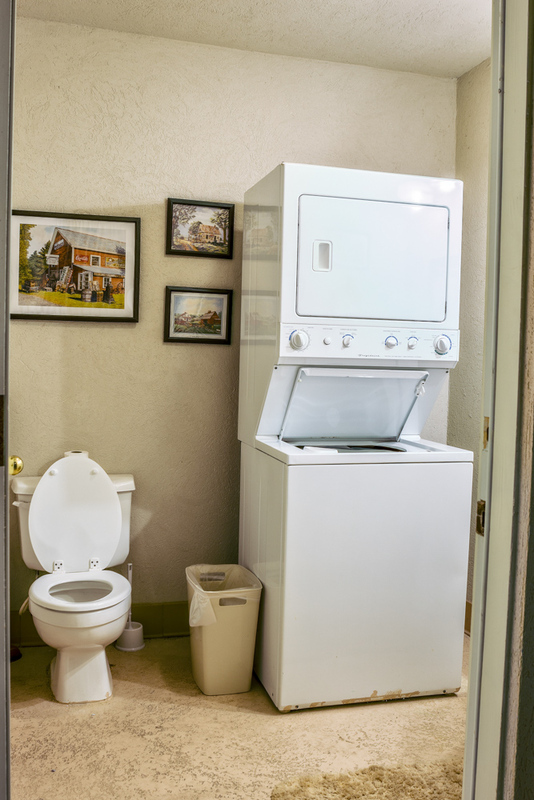 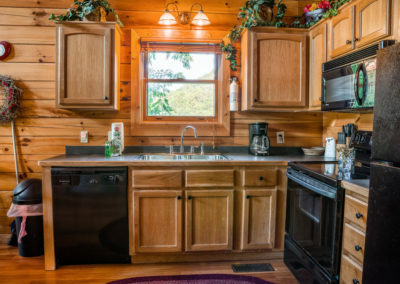 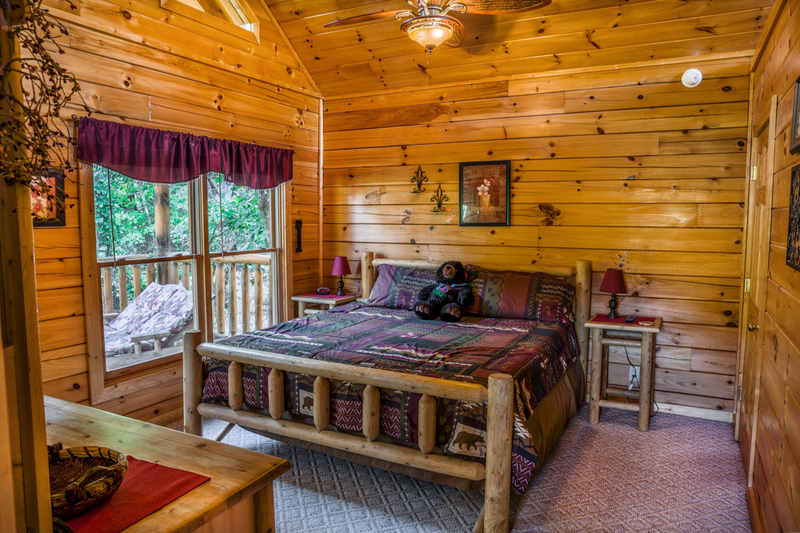 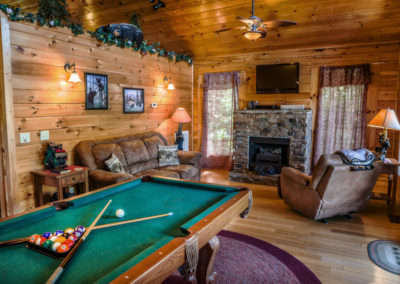 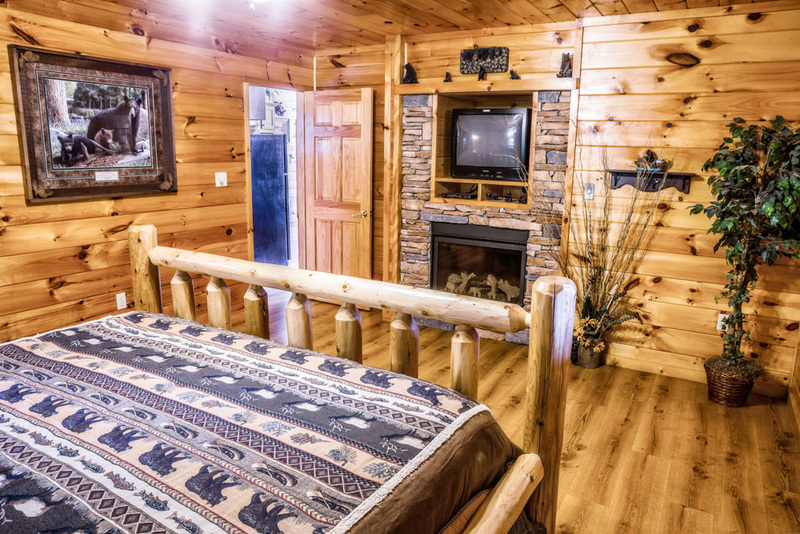 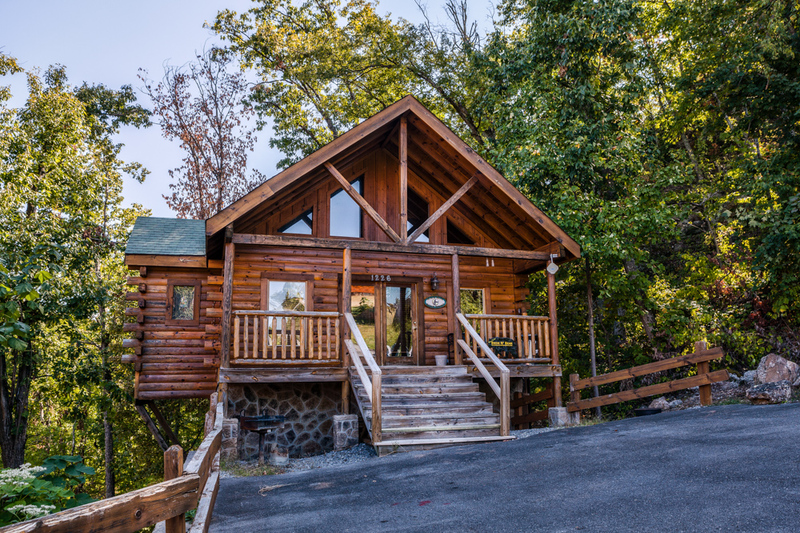 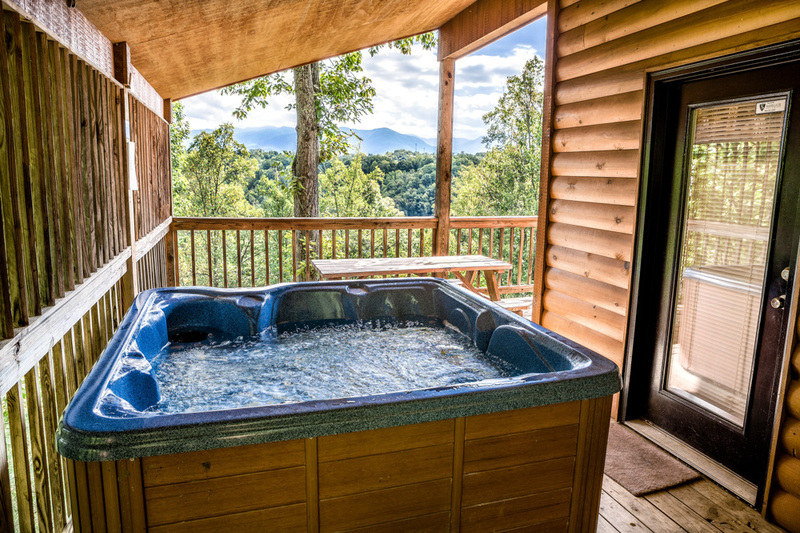 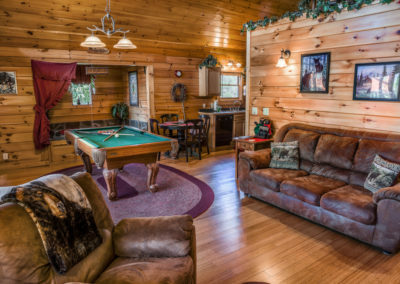 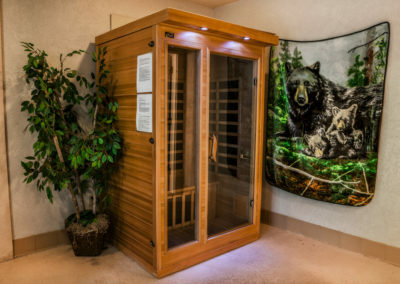 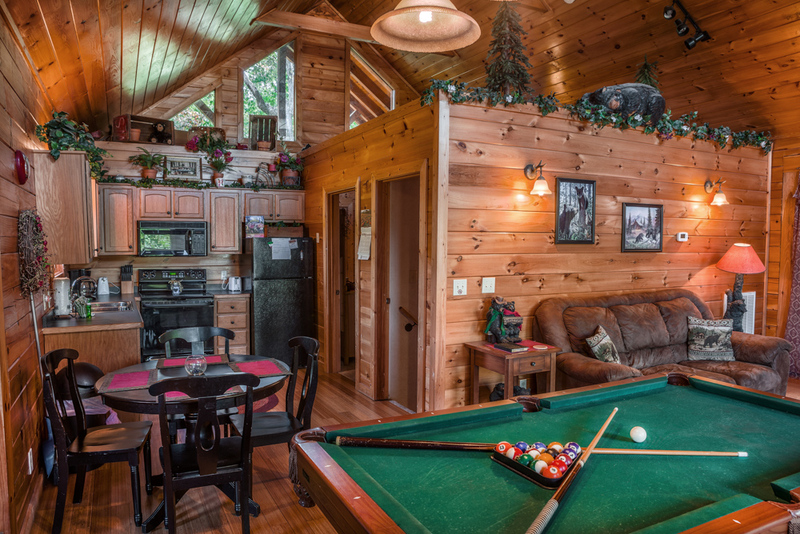 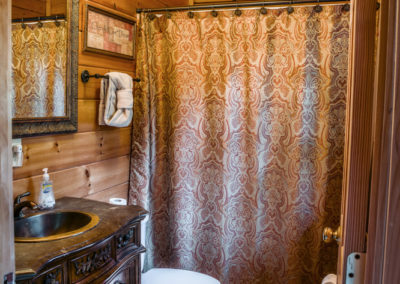 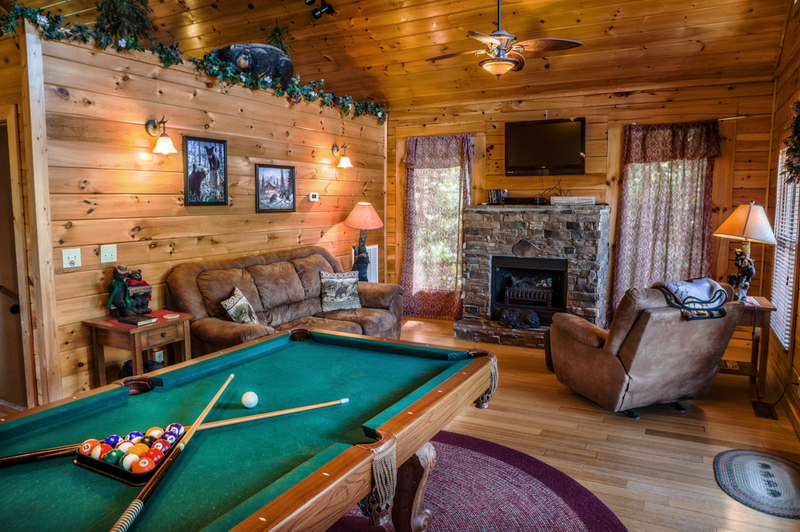 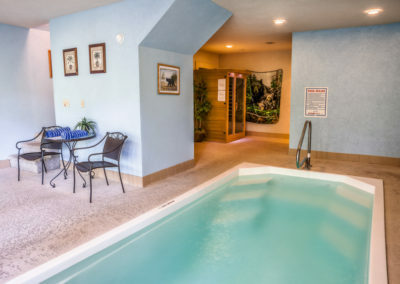 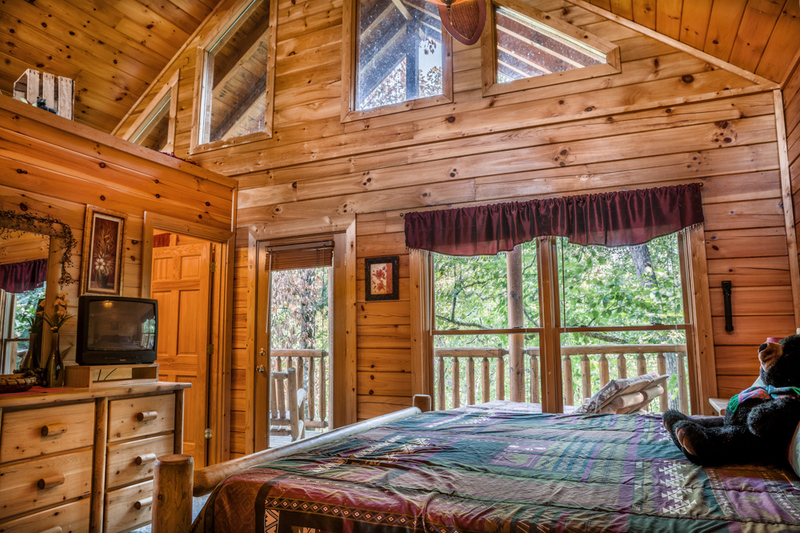 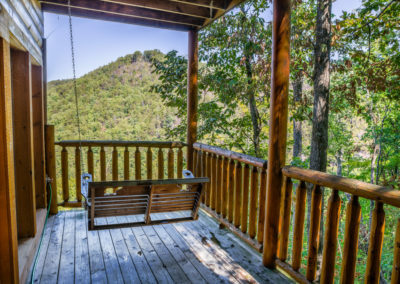 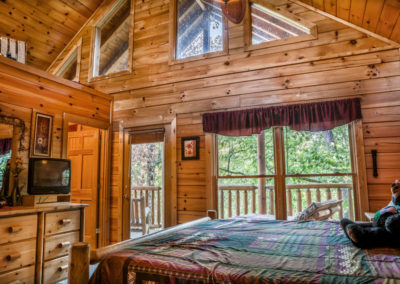 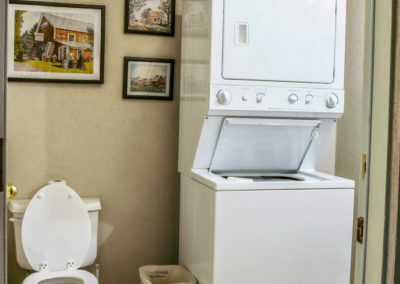 Splurge a little on a bit of Luxury on your Smoky Mountain Vacation with one of our Amazing Deluxe Cabins near Pigeon forge, Townsend and Gatlinburg. We have something to make you feel pampered and SPECIAL. 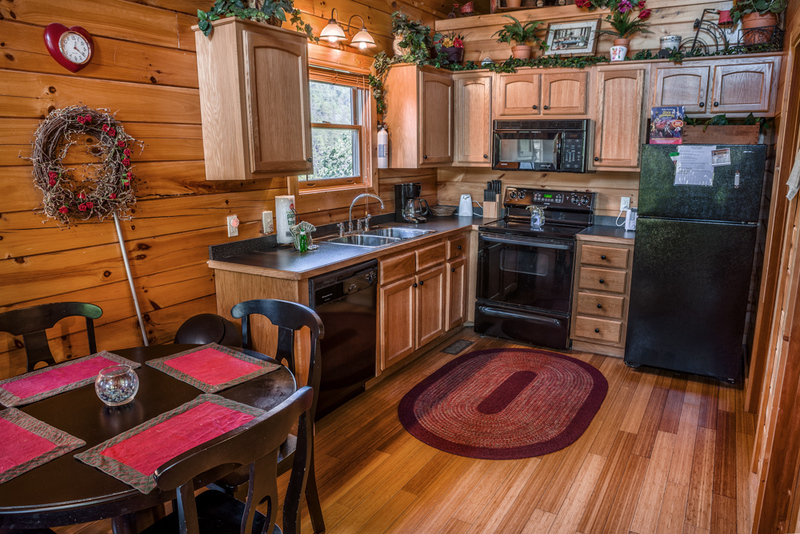 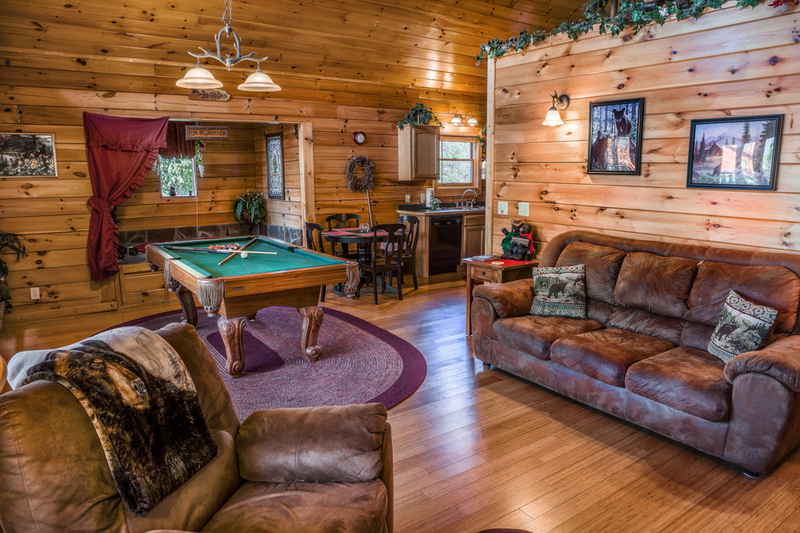 Luxury Cabins in Pigeon Forge with No Booking Fee.